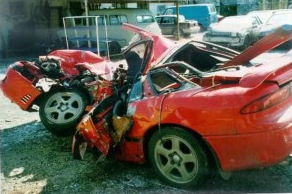 An auto accident is a traumatic event that no one is ever really prepared for. Even a minor auto accident can leave you feeling shaken and confused as to what to do next. Knowing the right steps to take when you’re injured in an auto accident can help to alleviate some of the stress involved and it can also help make things easier for you after the smoke has lifted, so to speak. Before getting onto the steps to take, it’s important to stress that 911 should be called if there is a serious injury involved. If your injury appears to be serious or if anyone else is seriously hurt in the accident; immediate medical attention with a Phoenix personal injury doctor is a priority, since time can mean the difference between life and death in the case of serious injury. Most people instinctively apologize when something goes wrong and this is often the case when in a car accident. It’s important to avoid admitting fault to the other party (parties) involved in the accident or to anyone else you speak to immediately after the accident such as witnesses, police, and even the insurance company. Even if you have some responsibility in what happened, it is best to not imply that you are at fault. This isn’t always easy when you’re shaken and emotional, but it’s worth keeping in mind. Leave this sort of thing up to your insurance company and the police. Even if you feel fine it is important to seek medical attention immediately. Get yourself to a personal injury doctor because symptoms can appear even days later depending on the type of injury that you have sustained. Not only is this important for your health and well being, it is also a practical step to take since it will make it more difficult to prove that the accident was responsible for your injury if you wait too long to be seen by a medical professional. Whether with a camera or just a cell phone, getting pictures of your injuries as soon after the accident is important. Have a friend or family member take pictures of your injuries, even minor scrapes and bruises. Having photos of your injuries can help you should any problems arise with getting a settlement from your insurance company or in court. Names of doctors, diagnostic tests, and all medical treatment related to the accident should be documented even if only with simple notes. 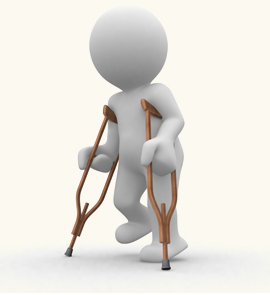 Also remember to keep any receipts associated with your injury such as those for medications and even crutches and braces as your insurance company may need them in order to reimburse you. Not only should you always have a copy of the police report for your own records; obtaining one as soon as possible also gives you the chance to look over the details and confirm that it is all correct. Though safety should always be the first priority, remembering these steps can go a long way in making the ordeal easier and less stressful following an accident.